ST. GEORGE — Canyon Media welcomed the public to its new media center at 3143 S. 840 E. #100, off Brigham Road in St. George Thursday, showcasing the media giant’s synergistic mix of seven Southern Utah radio stations and the headquarters of the region’s premier news source, St. George News. 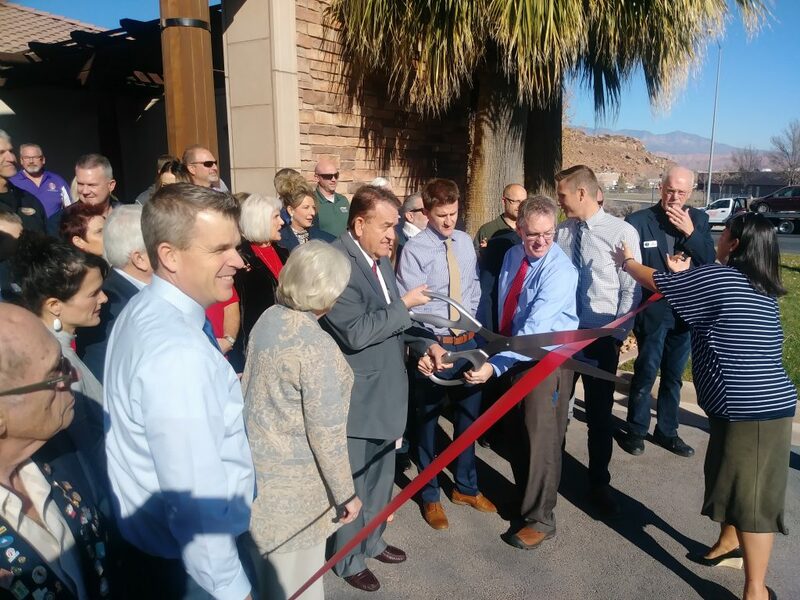 The event opened with a ribbon-cutting conducted by St George Area Chamber of Commerce Director of Events Susi Lafaele to a crowd of enthusiastic employees, government officials, area business leaders and personnel from local emergency services departments. Hundreds of people representing a broad cross section of the Southern Utah community attended the three-hour event, which featured tours of the new Canyon Media Center. 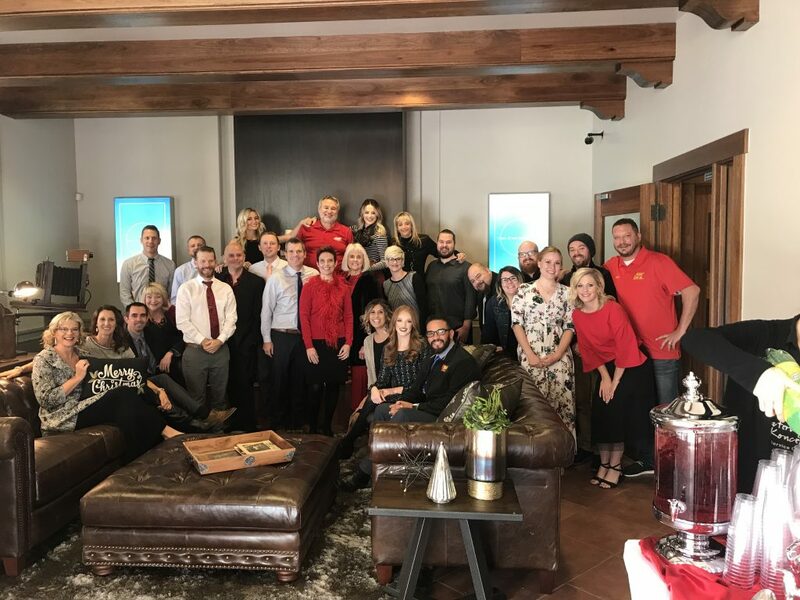 Guests were treated to sweet and savory treats and had the opportunity to record holiday greetings to be aired on Canyon Media’s heavily-listened to radio stations throughout the season. The new headquarters house state-of-the-art media facilities complementing the company’s goal of providing a full suite of multimedia content to readers, viewers and listeners. 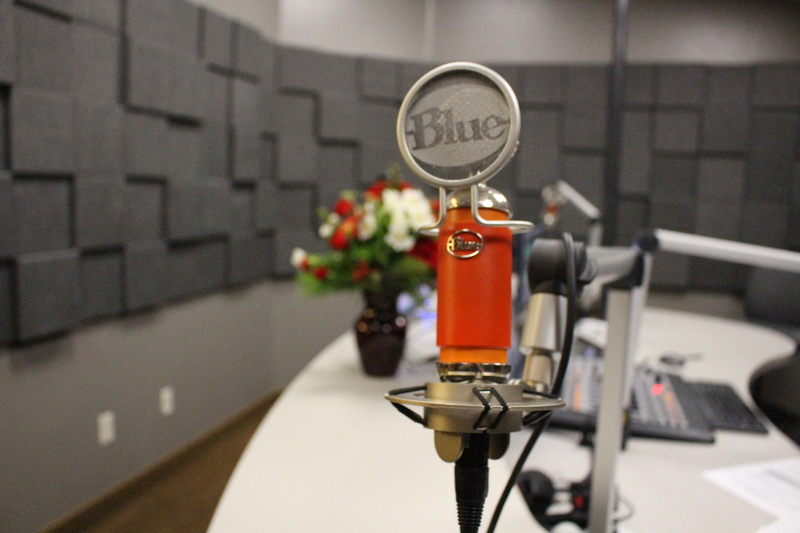 Each radio station, including listener favorites like 99.9 KONY Country, Planet 94.1, 95.9 The Hawk, 1450 AM St. George News and 96.3 X96 and Juan 104.1/106.7, is represented with its own on-air studio for original content broadcast live daily. At the facility’s heart lies an open office environment in which an eclectic mix of radio talent, multimedia engineers, news reporters and marketing consultants work to provide unmatched content, services and programming. A full-featured film studio staffed with video-editing industry veterans brings unrivaled eyewitness coverage of the latest news and events in Southern Utah. 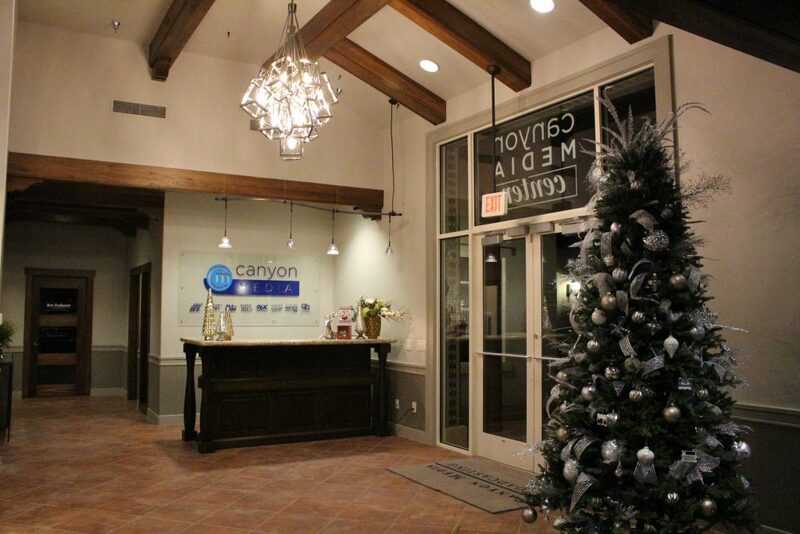 Between St. George News and the company’s umbrella of seven radio stations, Canyon Media reaches the homes of nearly every household in Washington County on a weekly basis. Canyon Media has been operating in Southern Utah for over 20 years and has established itself with the radio stations of choice for most of the area’s communities, reaching a combined 130,000 listeners each week. 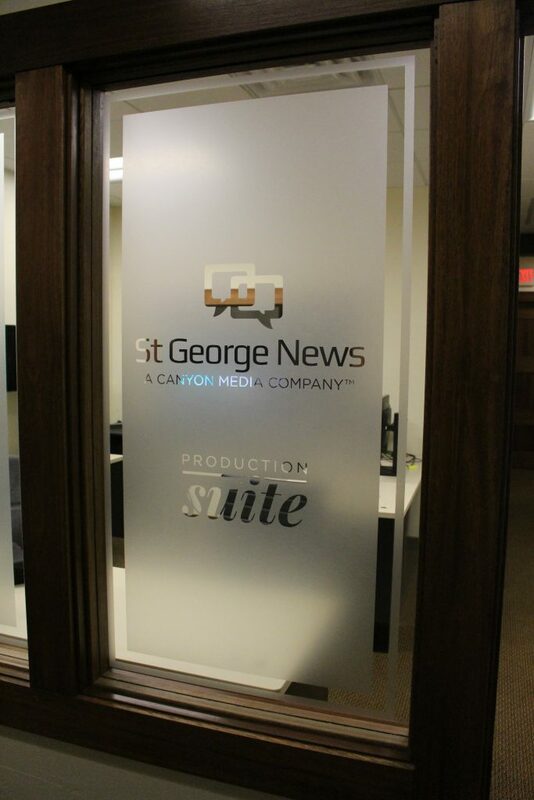 Since its start in 2010, St. George News has grown to become Southern Utah’s most trusted and read news source with over 120,000 monthly readers in Washington County and 27,000 monthly readers in Iron County. St George News credits such rapid growth to its commitment to focusing on local news that matters to those communities and engaging community members in conversation and representation. I came to town 22 yrs ago and over the years sp3ctrum is so bad.. no one thought they would crush the spectrum, but s5 George News proved them wrong.. they do a great job.. I check in every few hours a day.. peo0le who put obituaries in spectrum don t real8ze no one reads it and it’s embarassing when i. ask people about their loved ones and they saw they died, but 9nly put it in spectrum..sometimes the peopl3 are olde and don,t have computers and I say go to the library tax payers paid for those computers for everyone.. The only thing keeping the Spectrum alive, is the fact that it is part of Gannett Newspapers, a huge outfit that claims to be the largest U.S. newspaper publisher as measured by total daily circulation. Its assets include the national newspaper USA Today etc. I haven’t subscribed to the Spectrum, (aka the Scrotum,) for many years. 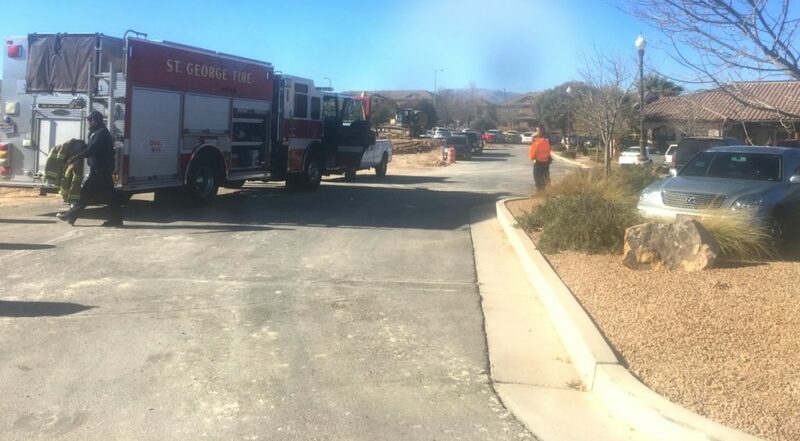 They are truly an embarrassment to St. George and area. But that doesn’t keep them from proclaiming to the world how good they are, when they get some meaningless award from Gannett. A good example of the incompetence showed up in my driveway this morning. In the Neighborhoods addition that they put out for advertising, there were three grocery store adds. All three were the same add for Davis Farmer’s Market in La Verkin. There were no Lin’s, Smith’s or Albertson’s adds. I can’t believe that companies don’t just pull all their advertising from them. Their prices for both subscriptions and any adds are so out of line it is pitiful. In fact, they are pitiful. I am extremely pleased to see SG News! These folks may make an error now and then, but they at least try, and they’re not afraid to admit their rare mistakes. Before SG News came along, if I really wanted to know what was happening in SG, I’d buy a SLC Tribune. They had much more accurate local news than the Spectrum.